While my last few columns have been focused on culture and identity, I want to talk about my actual trip to the Philippines for the next few weeks. After a few short days in Manila, my family and I headed off to our first adventure, Boracay — a small island situated in the center of the Philippines. There’s no actual airport in Boracay, so our plane landed in Caticlan, the city across the water, and we took a short boat ride to the port. Our resort was simple, but since we went during the rainy season and the connections on the island aren’t very strong, the Wi-Fi was down throughout the five days we were there. This actually ended up being a blessing instead of a curse, because I found myself actually appreciating the world around me instead of looking at my phone. Daing na bangus, or fried milkfish, for breakfast. As most Filipino vacations go, a lot of my time was spent eating. 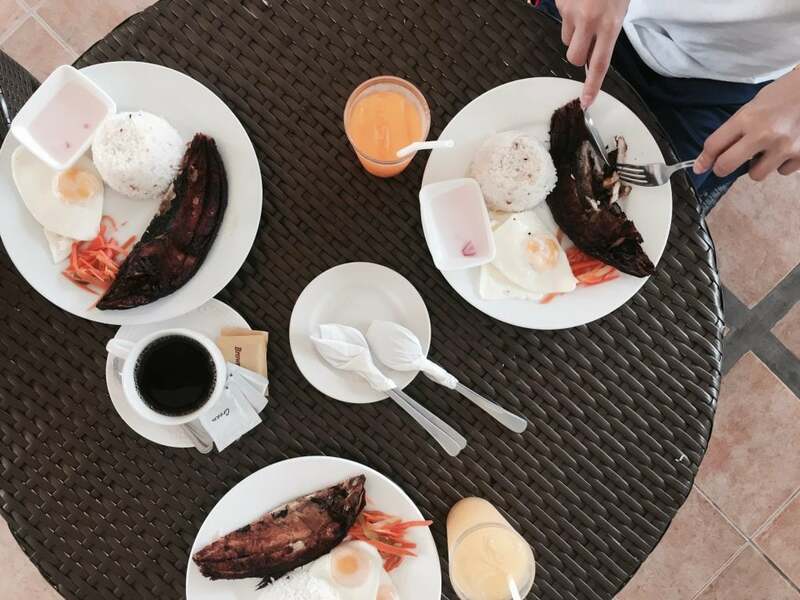 We had breakfast every morning at the hotel, where there was a wide range of both Filipino and American offerings. It’s normal for Filipinos to have rice at breakfast, usually with some “ulam,” or main dish. I tried the longanisa (sweet sausage) and tocino (cured pork), but the best one, in my opinion, was the daing na bangus (fried milkfish). It’s salty, vinegary, and the perfect complement to some garlic fried rice. The main mode of transportation other than feet was a tricycle, a cart attached to a motorbike. Nearly every day, we took one down to Station One, a stretch of restaurants and small stands about a 10-minute ride away. We had all sorts of food — mango milk smoothies at Jonah’s, grilled squid on Puka Shell Beach, melt-in-your-mouth tuna belly at Hoy, Panga! One night, we bought fresh seafood from the market and asked our hotel to cook it for us. I think I had inihaw na liempo (grilled pork belly) every day we were there. The back of our hotel opened up to the beach, and every day we set up camp under the palms. I alternated between reading, writing, swimming, making sandcastles with my little cousins, catching crabs, and just enjoying the sun — which I might’ve enjoyed too much, since I ended up getting a nasty sunburn after my first day — ouch. Vendors strolled by with plastic bags of Indian mangoes, and we snacked on those, dipping them in salt laced with chilies for a little kick. I paddle boarded for the first time, balancing not only myself, but my brother and cousins, who fought about who got to sit on the back end of the board. Boracay is one of those places that looks like a postcard. It’s a place that seemingly only exists in dreams, and I had to keep pinching myself because I couldn’t believe I was seeing it with my own eyes. The sand is white, fluffy, and it never gets hot. The water is a beautiful shade of aquamarine, and it’s so clear that you can see fish swimming around your feet as you paddle, no matter how deep the sea is. 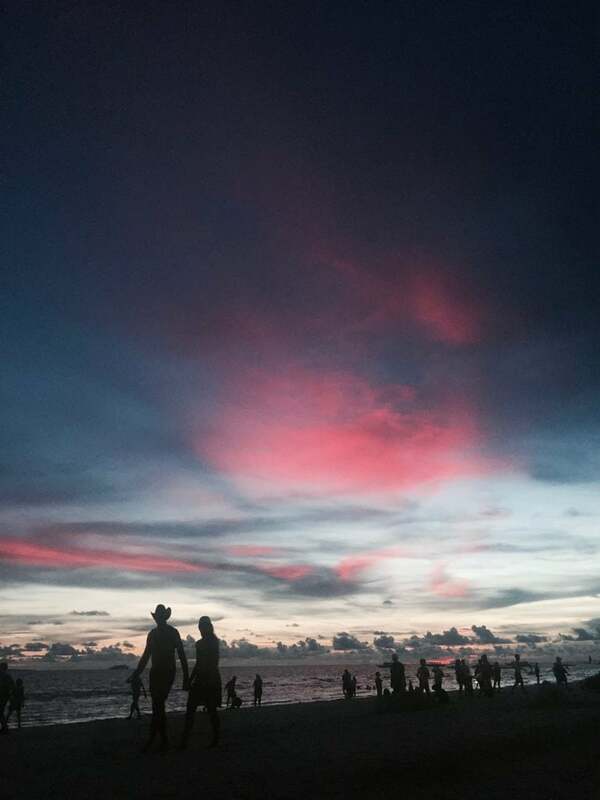 Sunset over the beach in Boracay. My favorite memory is of my first night. The beach, which was normally full of blankets, frisbees and running children, was oddly empty, and a strange sense of calm settled over me. I waded out into the ocean just as dusk approached, and the light bounced off the water as the sun set, turning the shining ripples orange and red and pink. It looked like I was swimming in fire. I’ve been to Boracay before, when I was around six, so it was interesting being back in a place I vaguely remember from my memories. 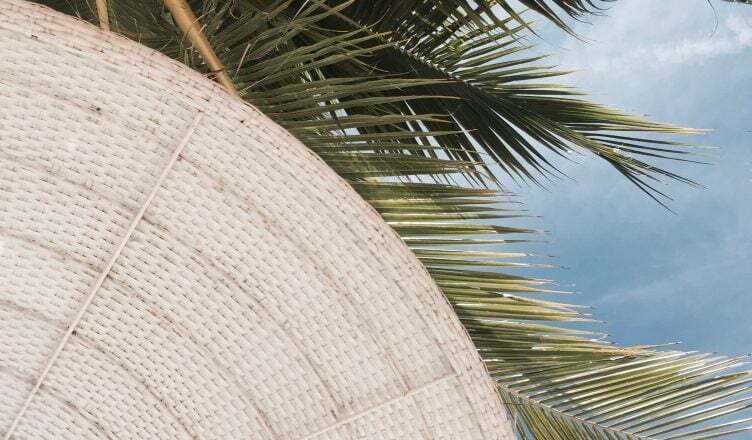 One day, my mom and I were walking up and down the stretch of beach that had all the hotels and resorts lined up, and I suddenly stopped in front of a resort with wicker chairs and circular tables. I told my mom that I felt like I’d been there before, and she suddenly realized that this was where we stayed back in the 2000s. I visited a cafe I used to go to with my grandpa — my mom says he and I would sneak off in the middle of the day to get our Nutella crepe fix. It’s cool to think that I’ve walked across those sands before — even though my footprints are more than a decade old, they still exist. Too often do we get caught up in the chaos that is life, and I’m glad that Boracay helped me remember to slow down, even if just for a few days. It was a perfect reset, especially after my hectic first year of college. It’s also one of those places I can’t really visit often — due to the high tourist rate and inflated prices on the island, so things tend to be more expensive — but it’s a place I love visiting when I have the chance. It’ll probably be another 10 years or so before I’m back again, but I know the beach will be waiting for me when I do return, exactly how I left it.